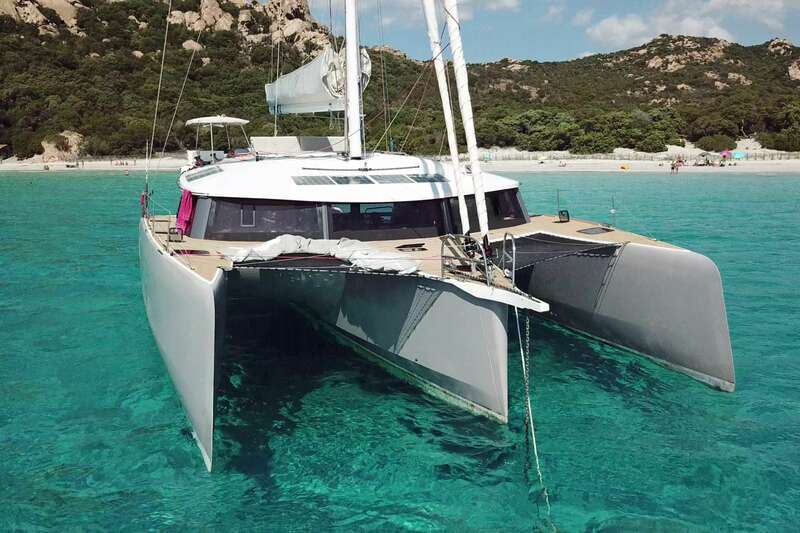 Trimaran TRILOGY emerged from the French builder Neel in 2017. This bluewater yacht is in a class of her own. She is the cutting-edge option for charter guests who crave the thrill of performance sailing, but require the living space of a much larger motor yacht. 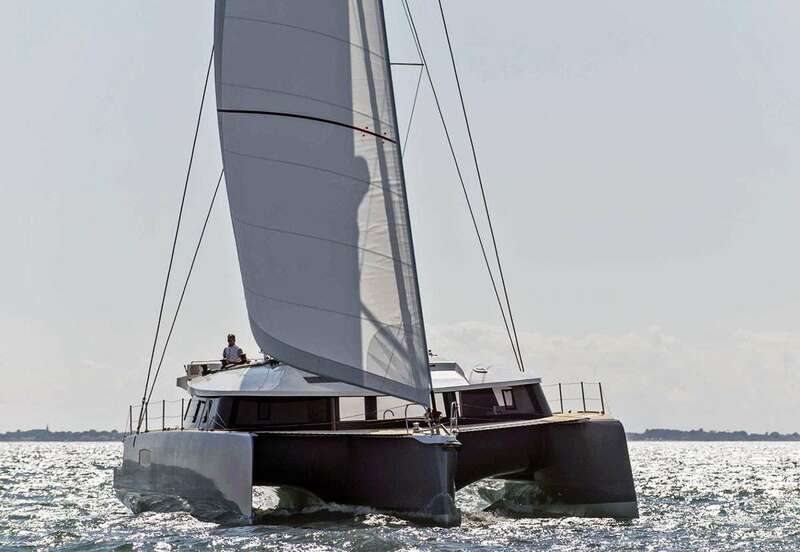 Thanks to her triple hull construction, her super-wide, 29-foot beam is the average equivalent of a 130-foot superyacht build. 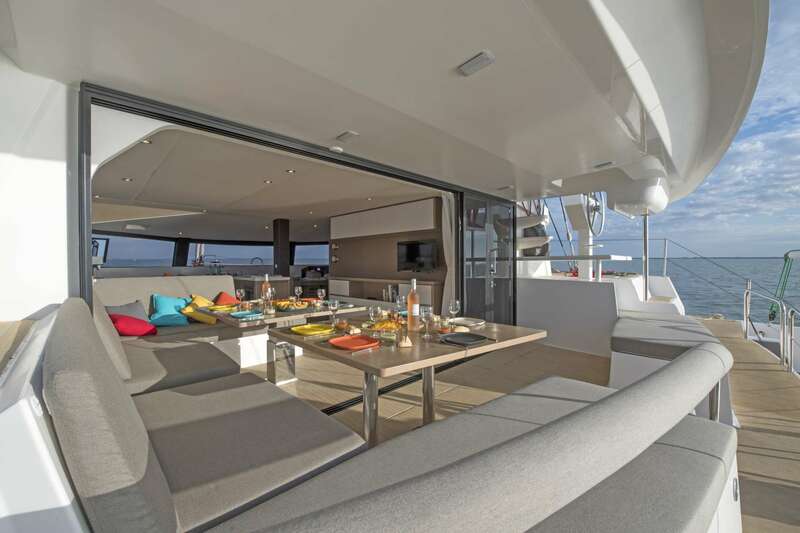 This means that together, the entire charter party can enjoy panoramic views from the main saloon, sprawl across the giant trampolines, or lounge on deck. Alternatively, everyone can have their own quiet space to read, relax, sun and commune with the sea. 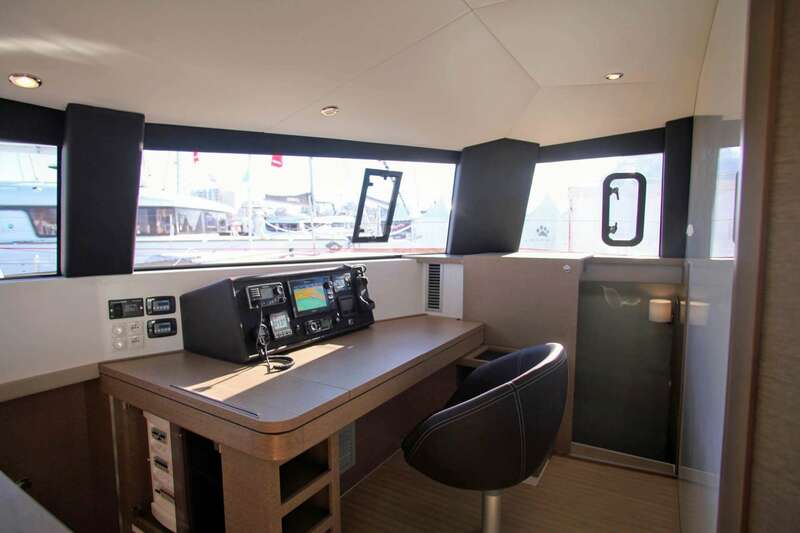 The cockpit, protected by a hard bimini, is equipped with a fridge, grill and sink. 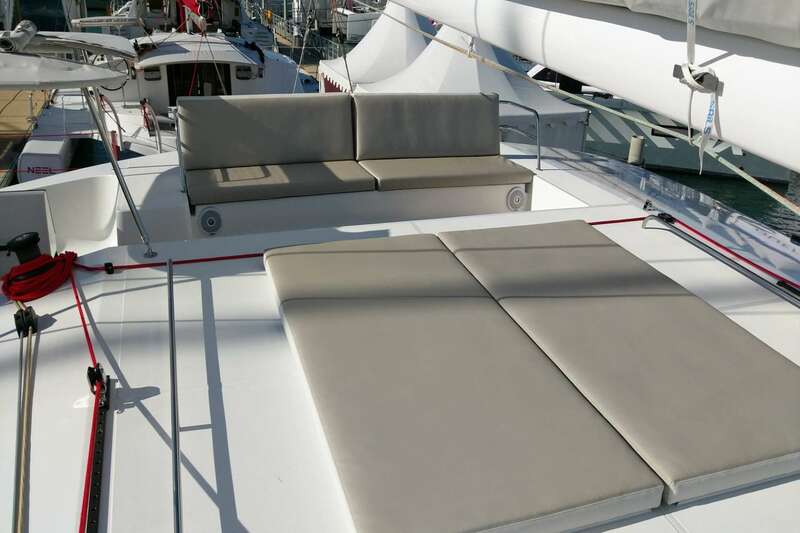 Guests can relax on a pair of banquettes that stretch across the stern, or take a seat at the teak table, which seats eight, to dine al fresco. 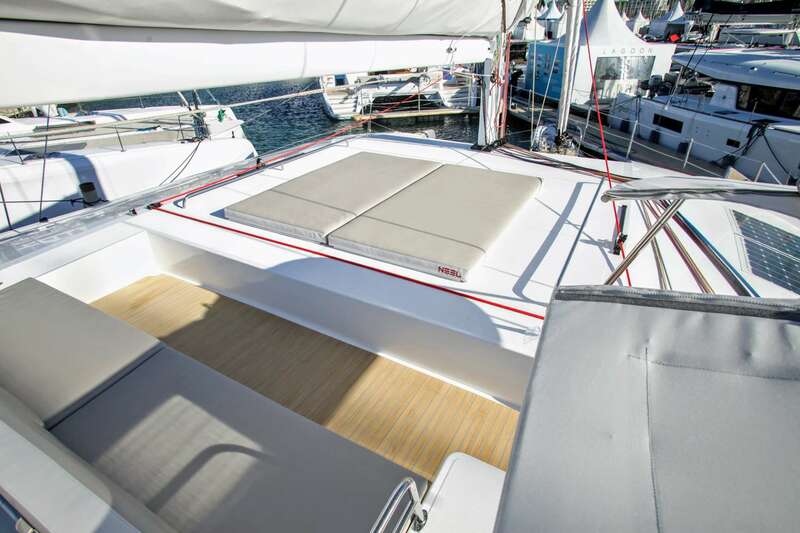 Steps away, the swim platform provides easy access to play in the sea. 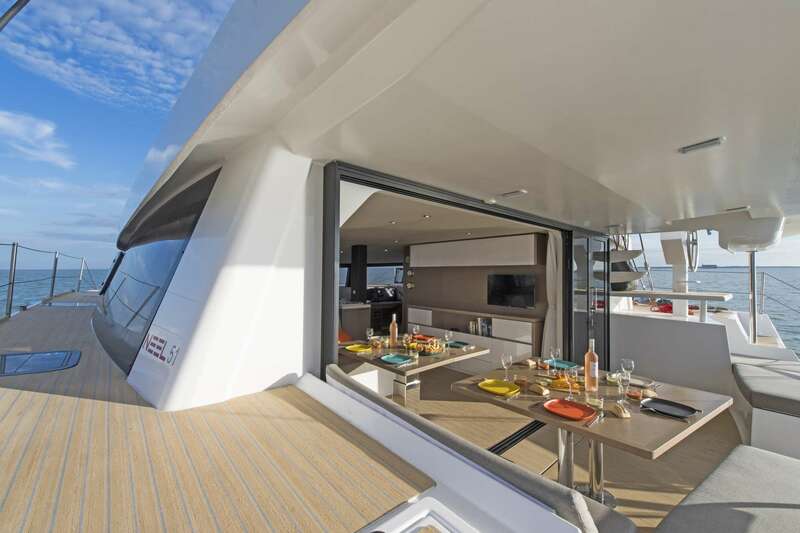 The literally “open” architectural design of the main deck features sliding doors that stow away completely to unite the cockpit and interior saloon into one seamless, breezy space. 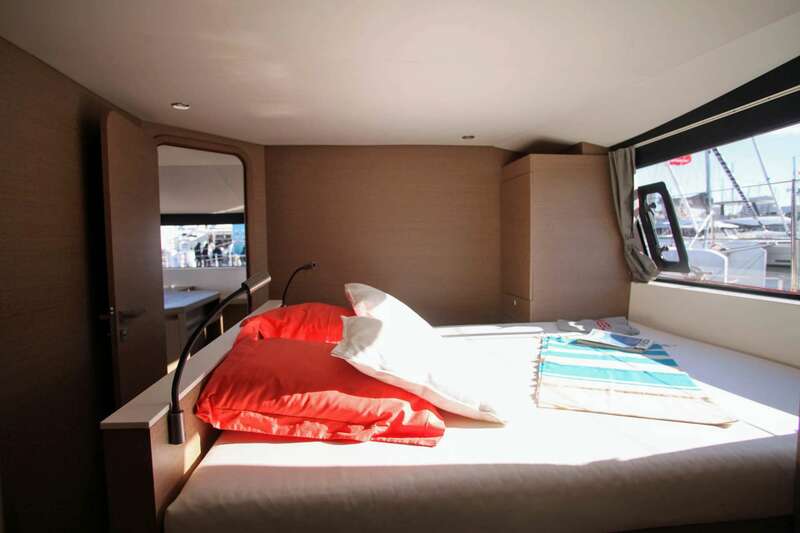 There is a surround of large windows that add to the sensation of a floating villa. 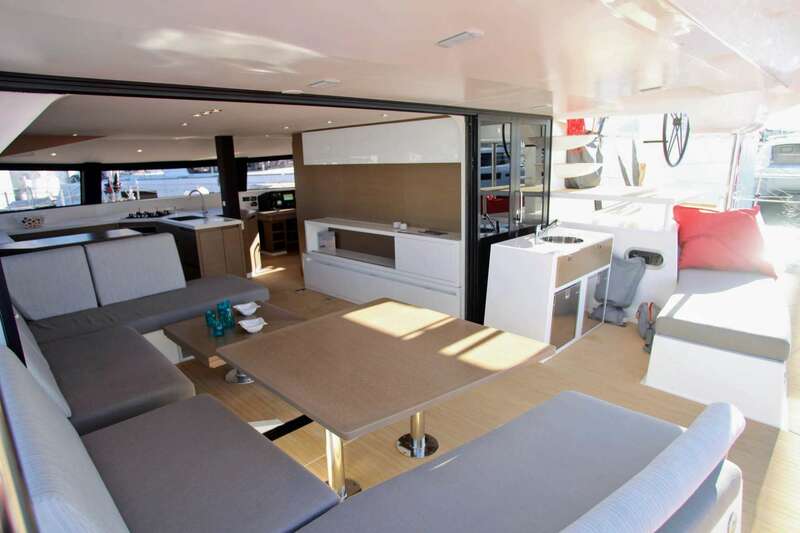 The en-suite master cabin is uniquely positioned on this deck level. The amazing picture window, a wall of glass at the foot of the bed, provides a mesmerizing view. Three additional guest cabins are located below. 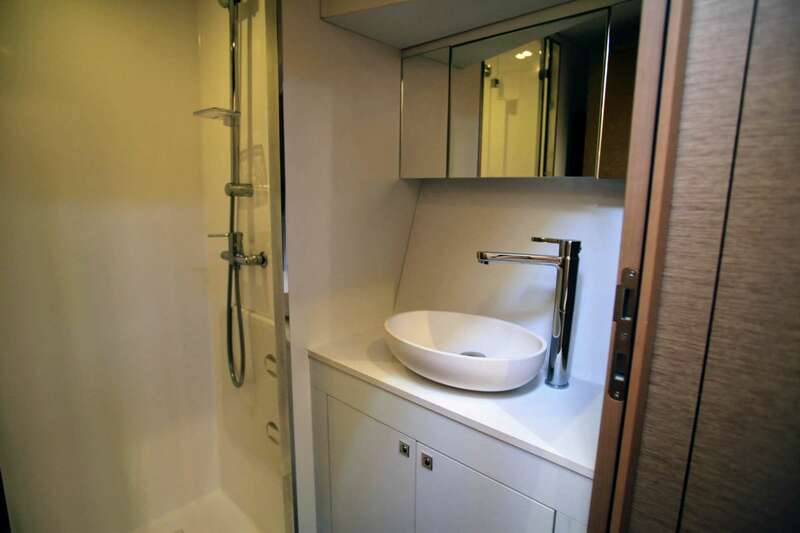 The center hull has a double v-berth forward with bathroom located a few steps down. 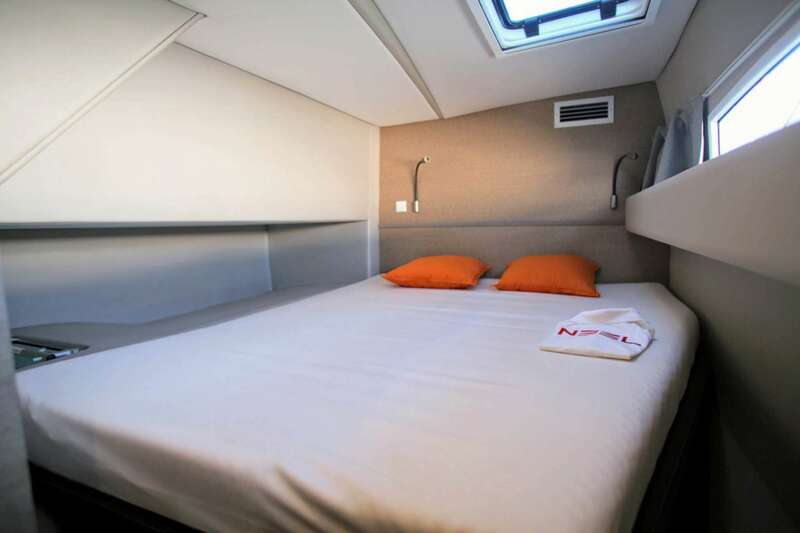 Two other guest cabins with queen berths are positioned aft in the port and starboard amas/hulls (outriggers), with toilette/shower facilities in the bow. TRILOGY is a fast boat. 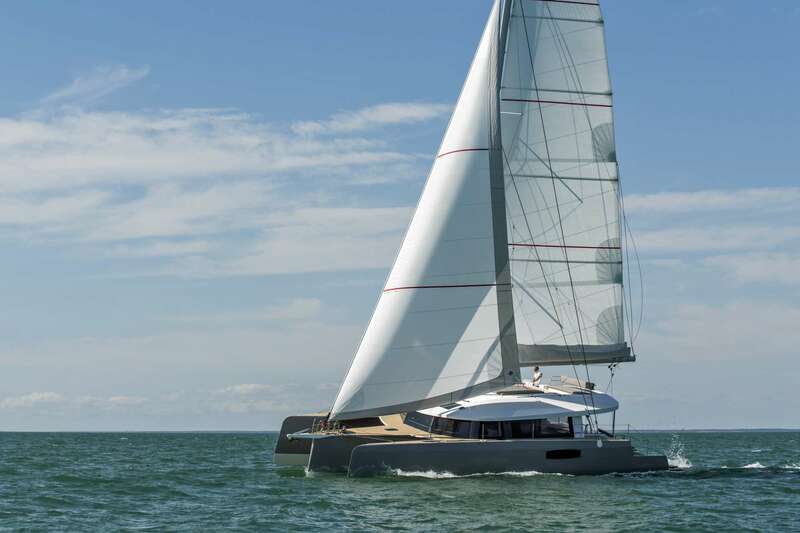 The yacht skips effortlessly over the waves and is designed to cruise at 10 knots in a breeze, faster depending on the sails and conditions. For a yacht charter that combines sailing performance with the ultimate in luxury accommodations, TRILOGY is a dream come true. Grégory Leclout grew up in La Rochelle, France. This lovely, historic, seaport on the Bay of Biscay, is coincidentally home to Neel shipyard, builder of TRILOGY. As a captain, Greg perpetuates the city’s seafaring legacy, which dates back a thousand years. Even as a small child Greg would be out on the water, under sail with family and friends. Greg completed his education earning a Master of Science in Computer Software Development. 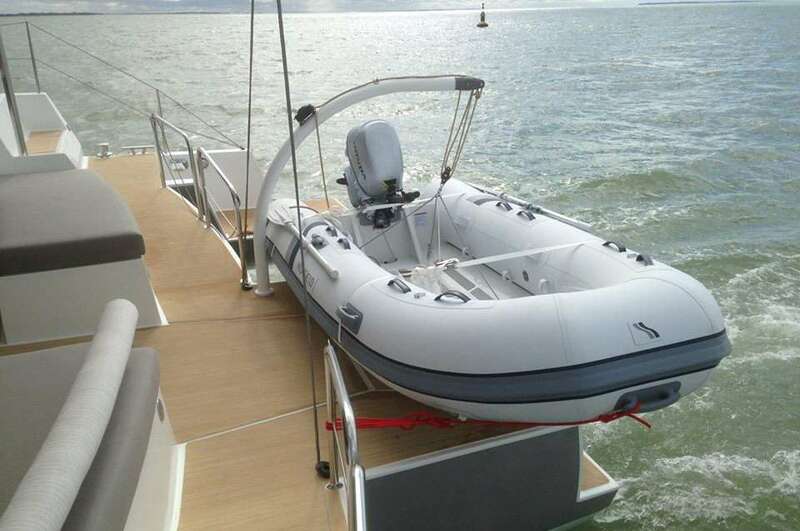 Shortly thereafter, he answered the call of the sea, launching his career in the yachting industry. Greg is very professional, helpful and easygoing. 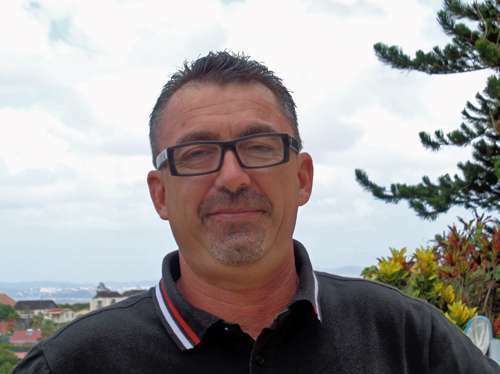 He enjoys communicating his knowledge and experience with any guest who has an interest in sailing and the sea. He has sailed all over the world and knows the French West Indies intimately. He is a PADI Advanced Open Water diver and marine life enthusiast. 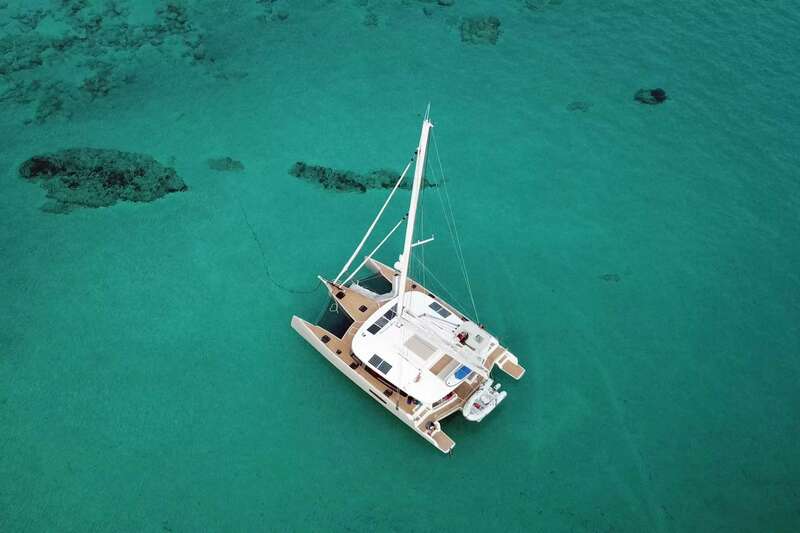 He can customize an itinerary to perfectly suit guest preferences, from sampling Rhum Agricole at local distilleries, to shipwreck diving, or extreme kitesurfing. Captain Greg’s motto: “Life is meant to be experienced. Put yourself out there. Do things you’ve never done. 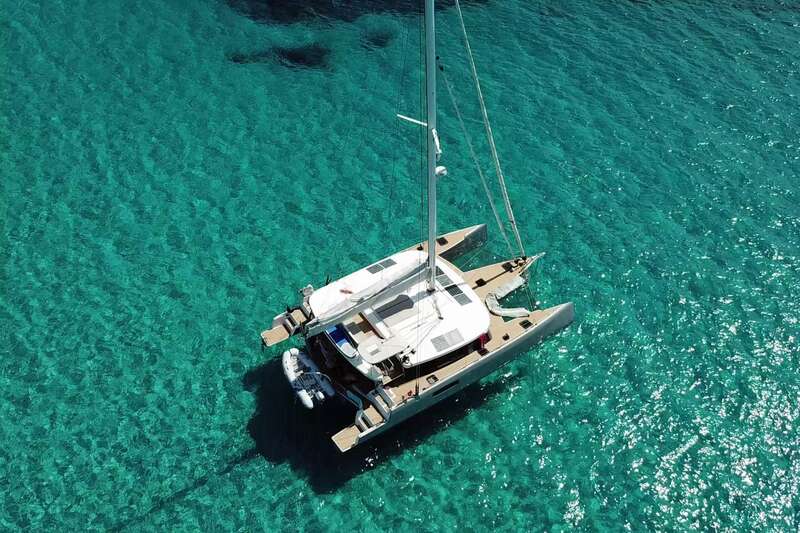 Live a life where at the end, you will have no regrets.” Charter guests who share Greg’s motto will discover that TRILOGY is a unique sailing experience and an adventure beyond expectations. You will have no regrets! Samuel Artes is also a Captain of TRILOGY, he will alternate with Captain Gregory. 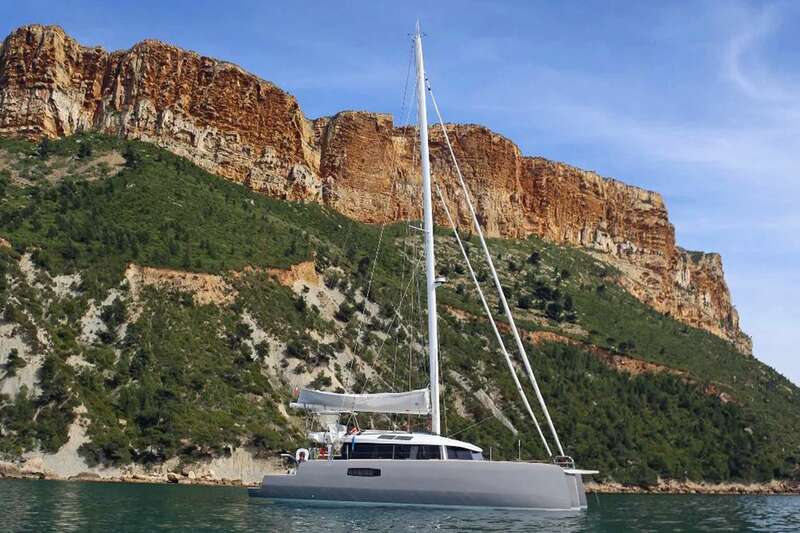 Samuel’s diversity of yachting experience provided opportunities to work and befriend many people and become familiar with ports of call worldwide. Working with different individuals, families and groups of friends, has provided Sam with keen insight into perfecting the charter experience; from planning itineraries to adapting surroundings to suit a particular audience. His motto: happy guests, happy captain! 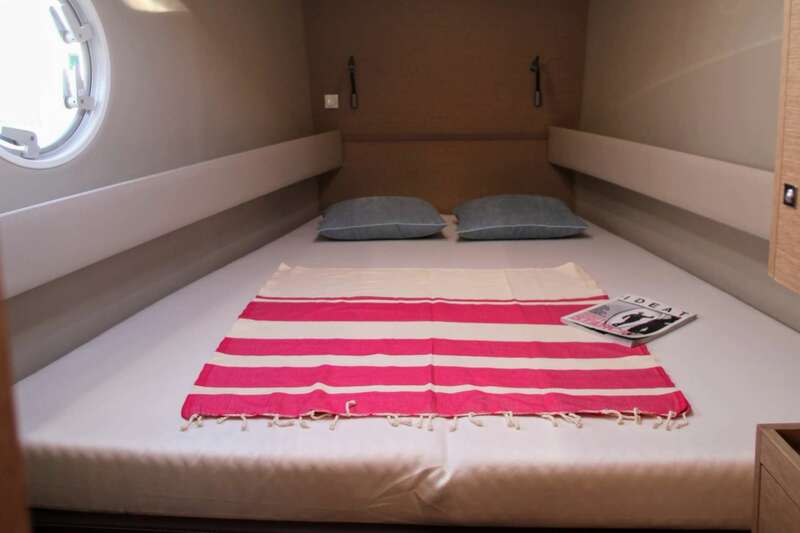 According to their testimonials, charter guests aboard TRILOGY are simply ecstatic. Caroline was born in Normandy. She traveled a lot and lived one year in USA (New-York and San Diego) and repeatedly in Spain. After many years at Charles de Gaulle Airport (Paris) in Aircraft Management, she chose, 13 years ago, the sea as her office. 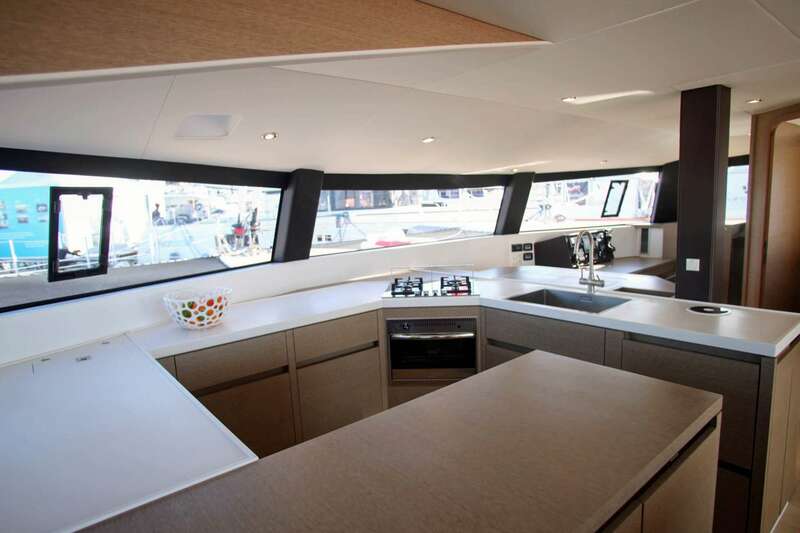 She is now experienced Chef/Hostess just as much on sail/motor and charter/owner yachts. 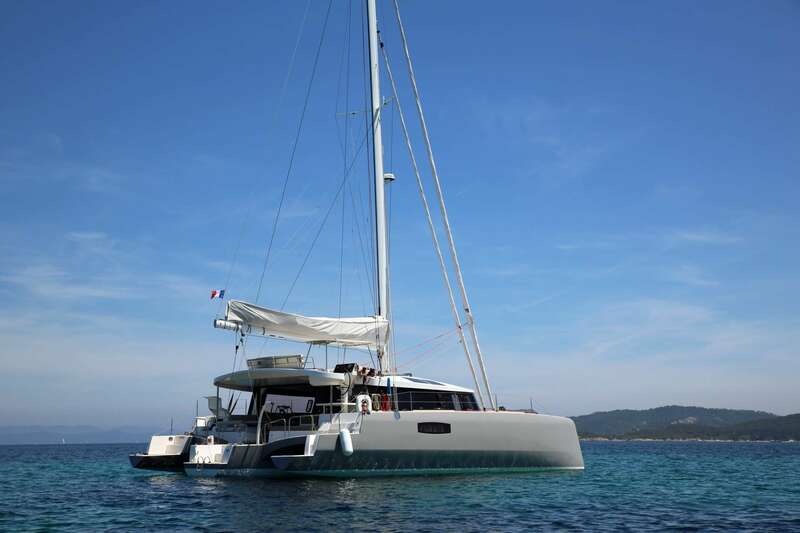 Mainly in the Caribbean, the Mediterranean and in South America 4 years chartering on “OUVEA V”. She made 8 transatlantic yacht deliveries. Her priority is to make her guests sailing vacation just unforgettable with her gourmet, healthy and diversified culinary savoir-faire. Based on French, Mediterranean and Caribbean style but truly open to any guest preference. She is obliging, perfectionist and enjoyable.